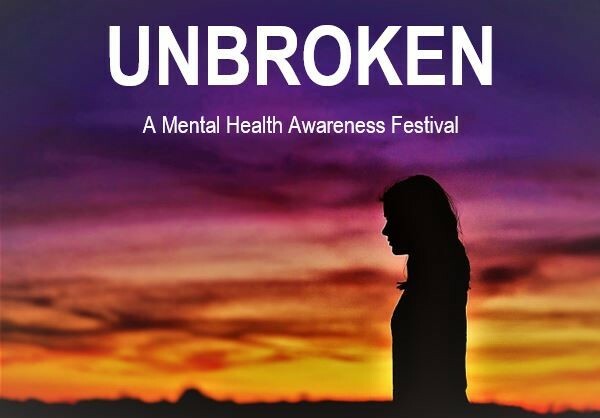 UNBROKEN 2017 is a mixed arts mental health awareness festival. Its main aim is to increase awareness of the issues surrounding mental illness, to reduce any attendant stigma by opening up a conversation, and to confound expectations as to what exactly a production about ‘mental health’ might involve! Most importantly, we are also launching the UNBROKEN Short Film Prize, so that this year we can encourage the exploration of the vital issue of mental health in yet another art form. We hope that a number of film makers – young and not so young, first timers and old hands, those with experience of the issues and those with an interest – will feel inspired by the subject matter and the freedom they have to explore it. We received a huge number of high-quality submissions and it is with great pleasure that we announce the official shortlist for the inaugural UNBROKEN 2017 Short Film Prize. We look forward to sharing them with you on Saturday 28th October 2017. Following the screening (which will include an interval and a Q&A with some of the filmmakers), the audience will have the opportunity to vote for their favourite film. Prizes will then be presented to the recipient of the Audience’s Choice award, along with the Winner and the Runner Up, as chosen by the judges. Finally, there will be time for everyone to chat and network with the film makers, festival organisers and fellow audience members as we adjourn to the nearby Fountains Abbey pub at 5pm!